Regular readers of the blog will know one thing that we’re always keen to learn more about is all things olfaction-related (see Tim’s post last August). So when I was offered to chance to try the new Le Nez du Whisky aroma kit, how could I say no? French wine expert Jean Lenoir first released Le Nez du Vin, a set of the most common aromas found in wine, in 1981. The success of the original, now translated into more than 10 languages, including Russian and Chinese, led to further forays into the worlds of coffee and Armagnac, and now into whisky. At £275, it’s not cheap, but does contain a wealth of information – 54 aromas to nose, a flavour wheel giving the ‘answers’, and a 140-page book. 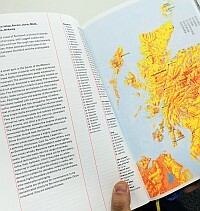 The book is compiled by Lenoir with help from whisky writer Charles MacLean (12 tasting notes and 100 years of Scotch malt whisky), Martine Nouet (whisky and food pairing) and professor of chemistry Hubert Richard – the latter who, along with aromatician Karine Lasalle, helped to perfect the aromas. So, what did the practical tests reveal? Testing it out on my colleagues, it became clear that some people are better at deciphering the contents than others. They are intended to be extreme versions of the flavours one finds in whisky – upon opening the set, you are hit with a waft of different aromas, a melange of herbaceous, fruity and smoky notes. It should also be said that some of the aromas are more obvious, two particularly instantly recognisable ones being custard and pineapple (the former not something I often get as a tasting note). As can be seen from the photos, I found some are more pleasant to the nose than others. The smells range in pungency, with a few hitting you in the face as soon as you take the lid off, while others are much more subtle. Broiled (grilled) meat was one of my favourites (even though they look like little aftershave bottles, I’d advise you against dabbing them on skin rather than simply smelling them – I’m struggling to get that particular smell off my neck) and the pear bottle filled me with dread (I’m unusual in being ‘pear-phobic’, so rare that I can’t even find it mentioned in The Phobia List, although it seems I’m not alone). One thing that was interesting, and indeed a question that has puzzled the whisky community, is why some people are particularly sensitive to sulphur and others aren’t. 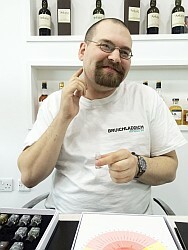 Nosing the vial, I was struggling to pick out any aroma, whereas Billy identified it immediately. The book explains each aroma in detail: for example, the paragraph on geraniums gives a basic description of the flower, before going into technical detail. Each flavour is listed with a list of whiskies that the aroma can be found in – these vary in size, from seven for geraniums up to four columns for oak. I can’t help feeling however that it would be just as useful, if not more so, to have a list of aromas by whisky, rather than the other way round. I tried it out using one of my favourite whiskies, Compass Box Hedonism, where I could pick out the orange and caramel notes without much effort, but the toasted almond was harder to detect (although being batch variable, this wasn’t entirely surprising). 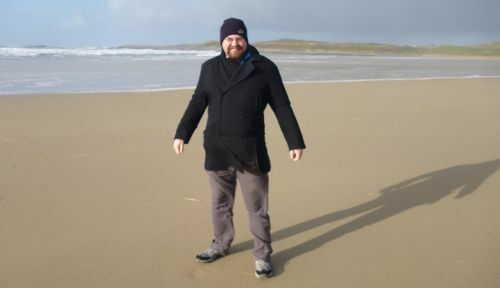 Aromas can also transport us back to places and memories, and upon sniffing seaweed and seashell, I was immediately reminded of my visit to Islay’s Machir Bay on a cold windswept day in February. My overall impression is of a fascinating and enlightening kit – something that has enhanced my knowledge of the sense of smell in whisky. At the price, it’s aimed at aficionados who want to add some extra knowledge when writing tasting notes or describing whiskies. Producing 54 vials to such a standard must have been a painstaking task. The book is a fascinating read on its own, with an in-depth description of whisky regions, the production process, how to nose and why it’s important – it would make a great book in its own right. It’s also an excellent reference point for helping to decipher flavours in whiskies – I’ve lost count of the number of times I’ve smelt a whisky and racked my brain to try and remember what the aroma reminds me of. Coming from a wine background, I’m familiar with Le Nez du Vin and indeed Le Nez du Armagnac, and this is a superb addition to the range. It’s not perfect and there are tweaks that could make it even better – the listing by whiskies as mentioned earlier, and some common aromas not being included (toffee is a glaring omission), but this is by far the best kit I’ve come across on the market and is invaluable for those who wish to learn more about the wonders of olfaction.